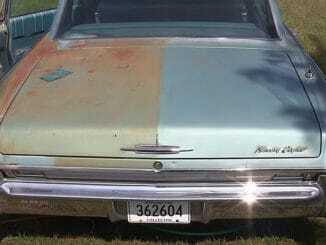 Rust Cleaning? 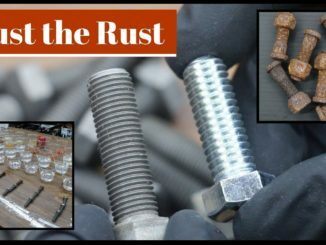 Remove rust easily from metals using a 1000 Watt Laser. When aimed at a metal surface, the dirt layer and any oxides underneath will absorb the energy and evaporate. 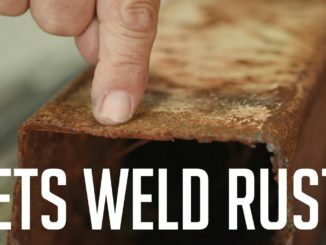 The metal underneath will not absorb the laser energy, leaving nothing but a clean surface ready for welding or painting. The system uses short pulses of laser light at 1000 watts, producing micro-plasma bursts, along with thermal pressure and shock waves to sublimate the rust and separates it from the metal without damaging the piece. 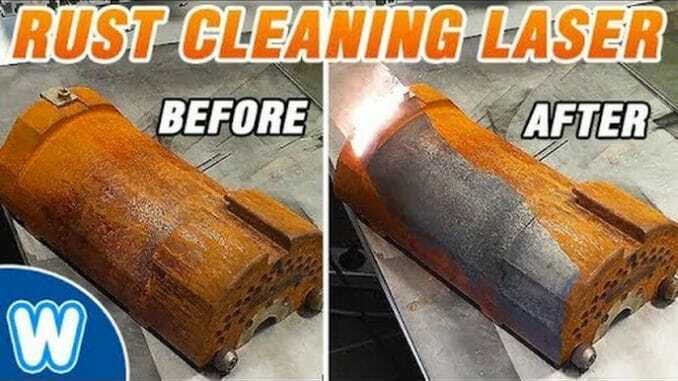 The Hand Held Rust Removal Laser makes rust literally evaporate. The cheapest version on the market is a much smaller, less-powerful 20W unit that starts at around $80,000 Dollars and the 1000W unit would set you back nearly $480,000 Dollars.